The West Side Santa Barbara is a sweet area filled with many special cottages, period revival style homes and a spattering of newer properties. It has easy access to Highway 101, downtown Santa Barbara, The Harbor and the Mesa, making it a very convenient place to call home. Compass points are confusing in Santa Barbara due to the way the coast bends in the region so many of use geographical markers. The West Side area would be on the ocean side of the 101 beneath the Mesa and loosely bounded by Las Positas and Cliff Drive. 10 Best Restaurants On State Street. The West Side is filled with a variety of home styles, mostly from the 1920’s to 1950’s. You will find lots of Bungalows, Tudor Revivals, Monterey style, Ranch homes and more. Most are on smallish lots in the 6000 sq.ft. range. 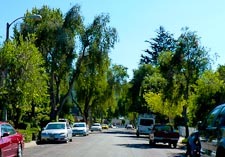 The neighborhood is well known for its tree-lined streets. 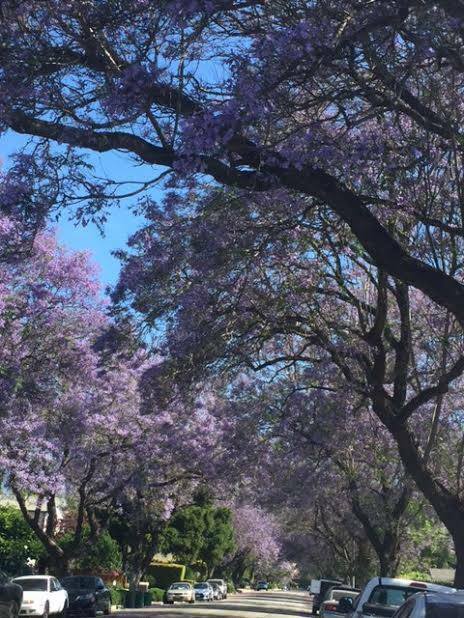 Many Jacaranda Trees are found in the area and when they are in bloom it is quite a visual feast. Home prices in the West Side are generally more affordable than many other areas. This is likely due to its smaller homes and lack of views. If buying a home in this region, good inspections with attention to water issues are advised as this area is low lying.